A guava (Psidium guajava L.) Family: Myrtaceae. 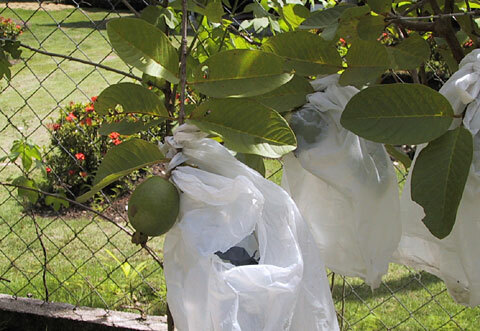 The plastic bags are to protect the fruit from being eaten by insects. Based on the rating of 61 users.